More beauty and skin care products went empty this week (of course the expensive ones always finish at the same time). However… they are good ones. 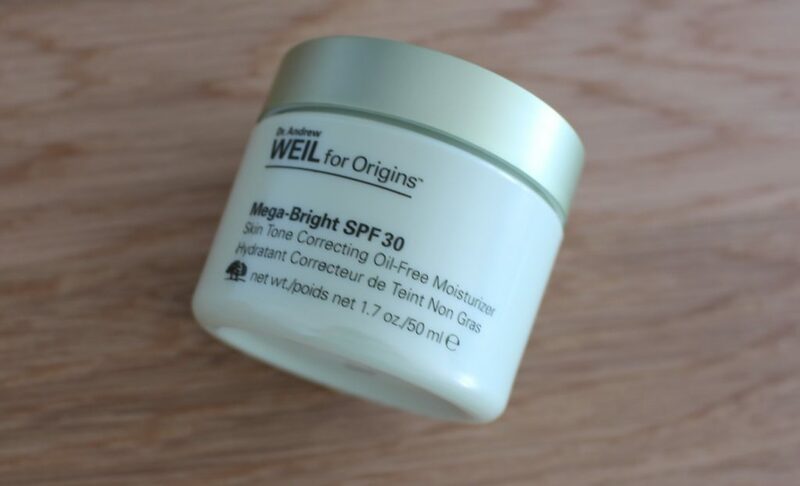 Dr. Andrew Weil for Origins Mega-Bright Moisturizer with SPF30*: My favorite skin care lotion since years. I really don’t want to use anything else anymore and have already gone through plenty of those pots. The next one is already in use and I am looking to get a new back up just in case to have one on hand. Definitely not cheap but good for skin like mine, which is dehydrated but has issues taking up moisture (weirdest combination, right?). I also appreciate it having an SPF of 30 and I love how it goes so well under makeup. Definitely a keeper. 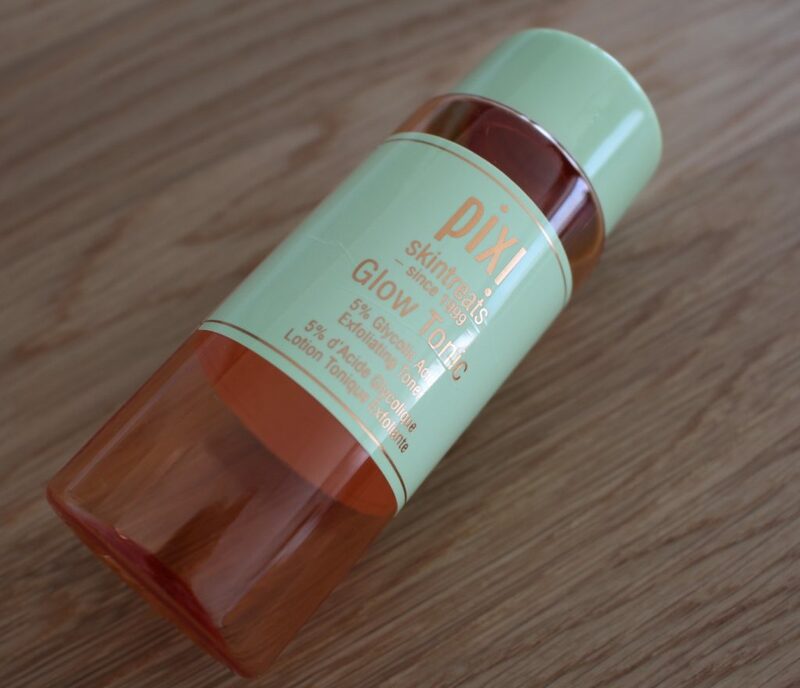 Pixi Glow Tonic*: I love Pixi products (my favorite being their Milky Hydration Mist) and this one is no exception. It is quite strong and I wasn´t using it every day but it definitely helps to get rid of that dull skin in a gentle way to bring out that glow everyone wants to have. They also come in a pot with pre-soaked pads, which I am currently using. Another repurchase product. 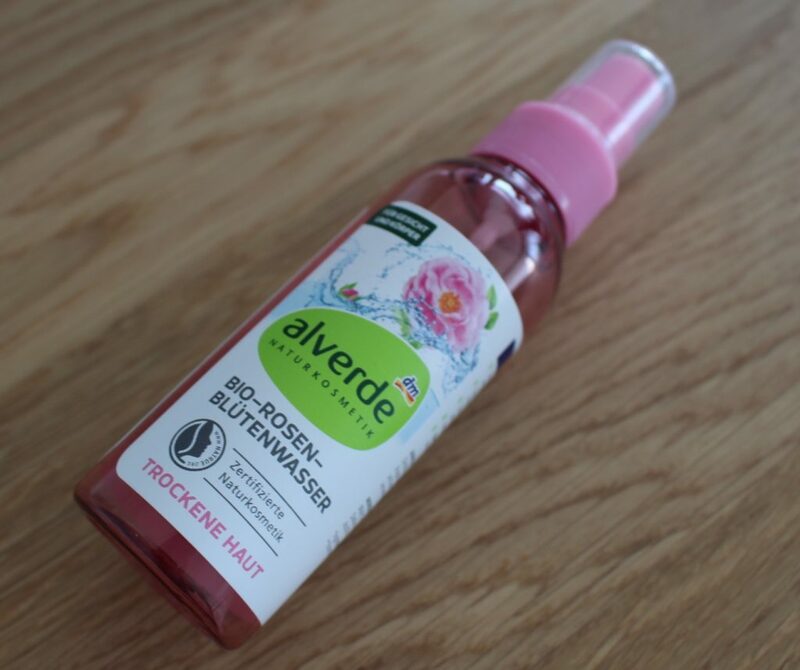 Alverde Bio-Rosen Blütenwasser Facial Spray: Another keeper and currently using bottle number 3. Smells lightly of rose but not too overpowering, which is nice. For the summer this was the perfect facial spray, which was great in quality as well as affordable. For the winter I will however go back to the above mentioned Milky Mist by Pixi as it is a bit more hydrating. But for 3.95 Euros I would definitely give this a try when you see it in store. 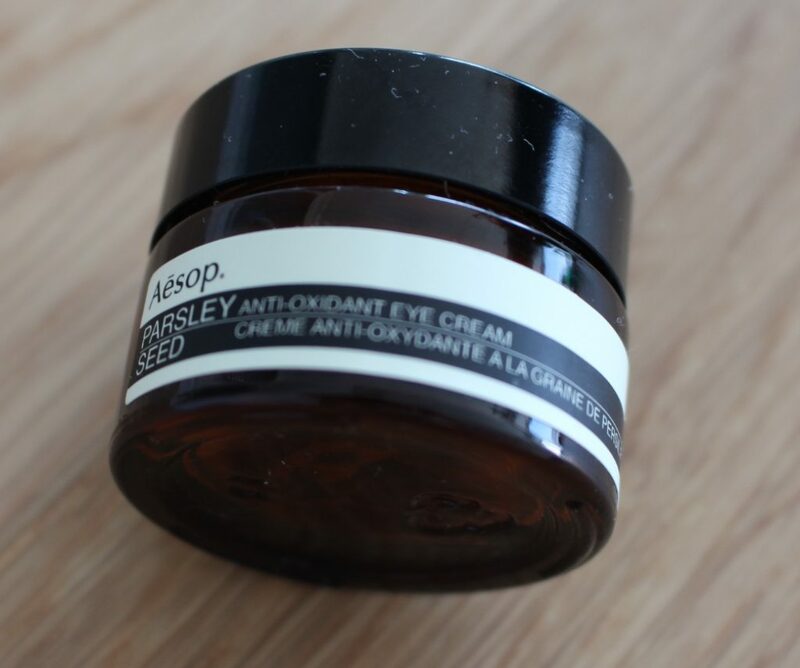 Aesop Parsley See Eye Lotion*: Also a repurchase though I am currently out of it. I have however used plenty of pots over the last couple of years. 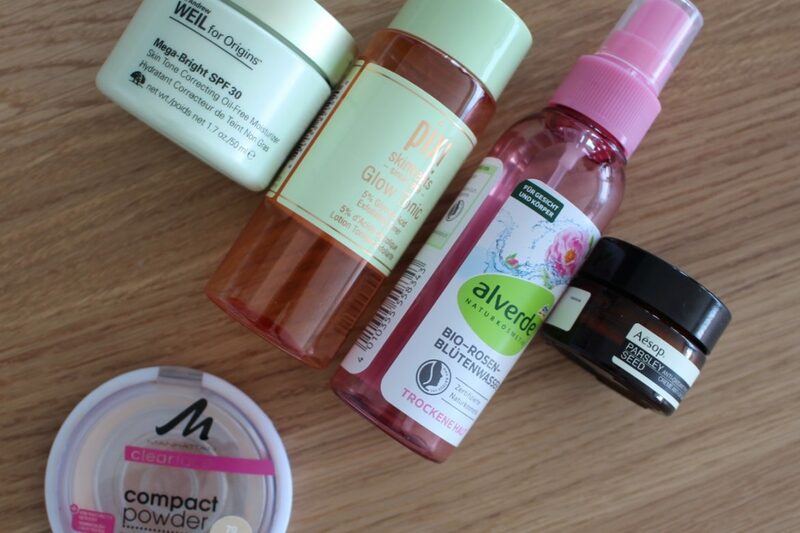 Unfortunately quite a splurge, but after having tried plenty of eye lotions, this is just the best for my skin type. You literally look five years younger after using it and it is so super hydrating. I love to pad on a thicker layer and let it sink in while making coffee and afterwards continue with my makeup and concealer. I just love it and have nothing bad to say about this one except: I really need to repurchase asap. 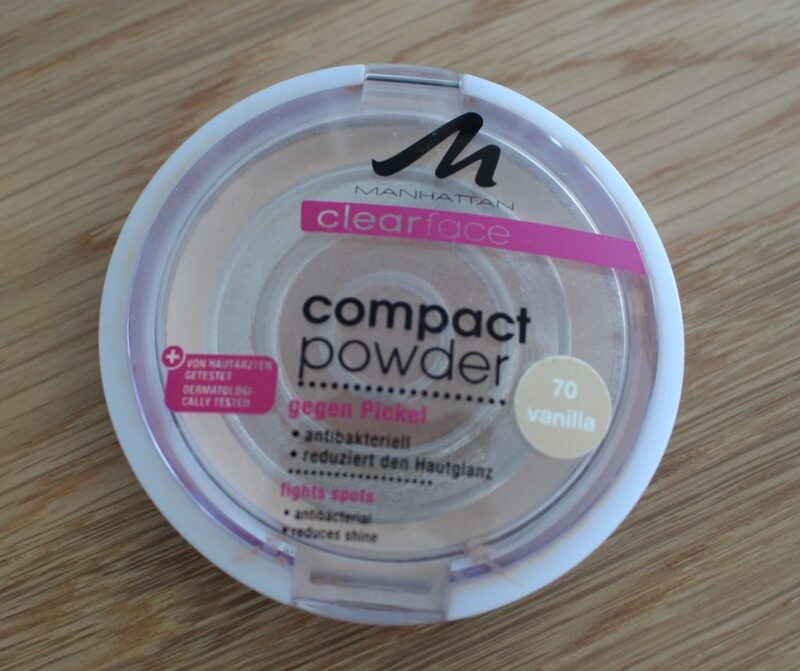 Manhatten Compact Powder: This funny little gem is super affordable and can only be found besides the skincare. It is supposed to help with blemish-prone skin, however I don’t think it makes much difference. On the other hand with my dehydrated skin I also have no issues using it. It is quite powdery so go with a light hand. On the other side it makes your skin look very even and healthy looking. I love to use it in combination with my Hourglass Dim Light powder and they work together amazingly well. This product I also have already repurchased and you can currently find it in my makeup drawer (no wonder at also only 3.95 Euro – it’s a total bargain). 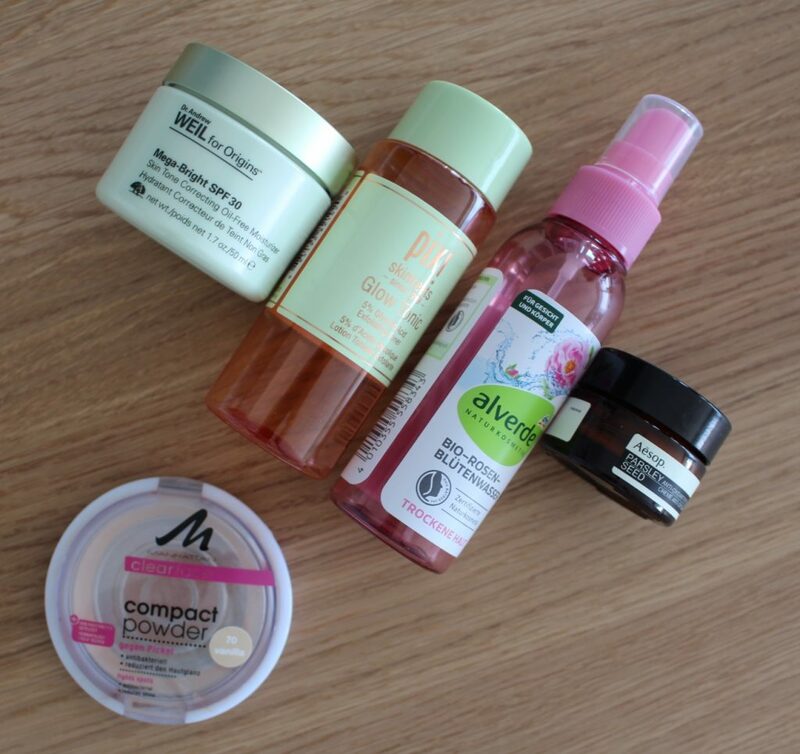 Five more great products I have used up and have all repurchased them (or am going to).